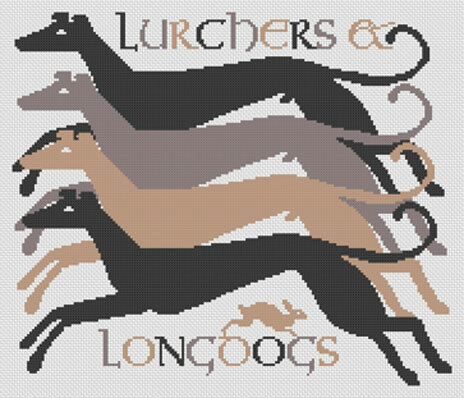 Lurchers & Longdogs is the title of one of my favourite books written by EG Walsh. My much thumbed copy disappeared like a badly trained hound somewhere between France and England never to be seen again. This design is very adaptable and could equally well be stitched up as a small picture or as a big, cuddly cushion. You pays your money and you takes your choice. It is also one of a pair, the litter mate of Rogues & Running Dogs.